Only 15 Plates To Go! After nearly two years of hard work, NCS, with the Nantucket Lighthouse School and 17 other non-profits, is within sight of the finish line. NCS needs only 15 more Nantucket license plate applications to meet our goal of 75, which is required in order for us to share in the revenue stream from the plates. Overall, Nantucket has reached the 1,500 applications required to submit to the state and will have the Nantucket License Plate on cars by this summer! If you haven't applied yet, this note is to encourage you to join the hundreds upon hundreds of Nantucketers who have already applied. Your doing so could make a real difference in achieving the goal and will ultimately bring tens of thousands of dollars annually to island non-profits for years to come. For a few minutes of your time and $40 today, that is pretty remarkable to think about. If you have already applied, perhaps you have another MA-registered vehicle you would like to to sign up...or know of a neighbor, colleague or family member who would like to show their Nantucket pride and support island children. 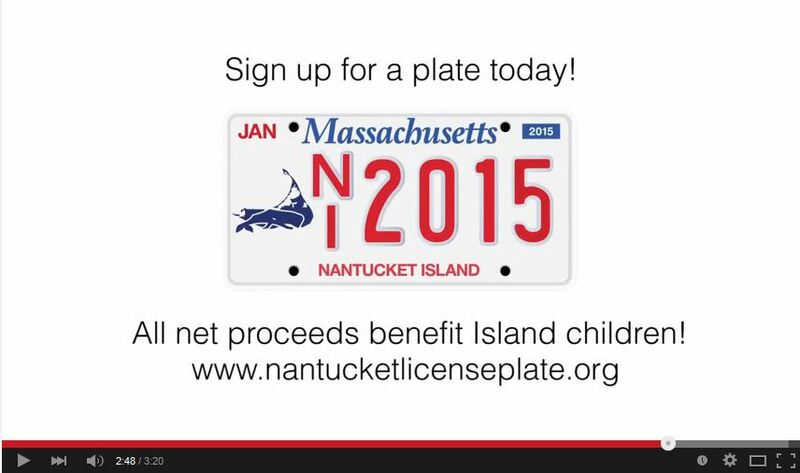 The link to the website, where you can easily apply and then pay with a credit/debit card is here: www.nantucketlicenseplate.org. Please select Nantucket Community Sailing to support when you sign up.